Elioth Gruner was born in Poverty Bay, New Zealand of a Norwegian father and Irish mother. They moved to Sydney in 1883. He showed a precocious talent for drawing, and at 10 started receiving formal training through the Art Society of New South Wales, under the tuition of Julian Ashton, who was to remain influential throughout Gruner’s life. With Ashton’s support, Gruner exhibited his first painting, Violets, in 1901, aged 19. 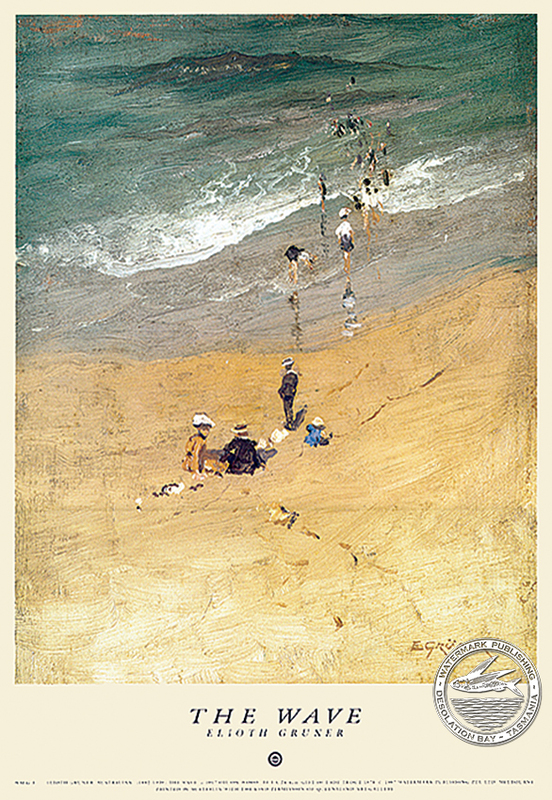 He worked from age of 14 to help support his family, first as a draper, then as a window dresser, Gruner’s reputation and popularity continued to increase and with the encouragement of his mother, he started painting full-time in 1912. 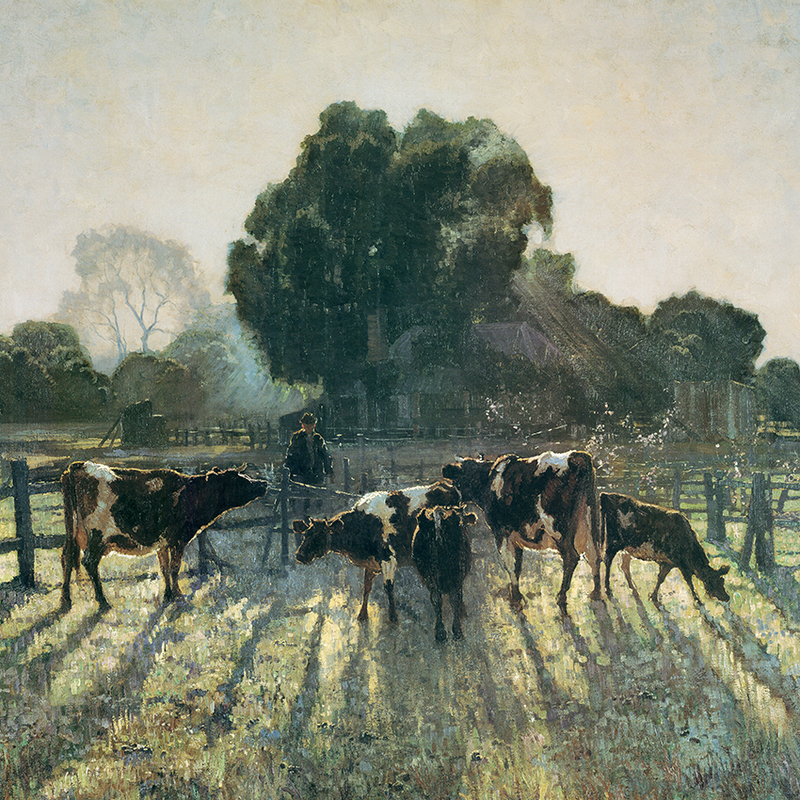 In 1916 Gruner finally achieved critical success with the painting ‘Morning Light’ which was awarded the Society of Artists Wynne Prize for Landscape Painting, and purchased by the Society gallery. The painting was popularly proclaimed to be the artist’s masterpiece. 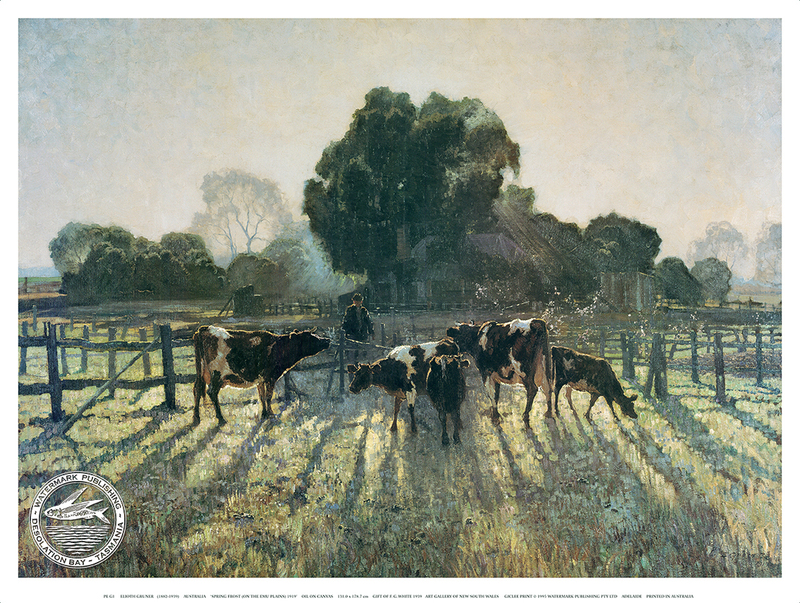 Gruner went on to win the Wynne Prize seven times, ‘Spring Frost’ won in 1919, and his preference for painting green, rolling pastures and farmyard animals made him one of the most popular artists of his day. While he was to become an important figure in the Society of Artists, and the Australian painting scene generally, towards the end of his life, Gruner suffered from depression and alcohol dependency. He died in 1939 at the age of 57.